Pham Hong Long is currently a Ph.D. student at Singapore University of Technology and Design. 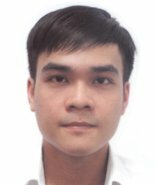 He received Bachelor’s degree and Master’s degree in Computer Science from Hochiminh City University of Technology, Vietnam in 2012 and 2014 respectively. His current research interests include program analysis and program verification. 2012 – 2014: M.Eng. in Computer Science, Hochiminh City University of Technology. 2007 – 2012: B.Eng. in Computer Science, Hochiminh City University of Technology. 7/2015 – 9/2015: Research assistant at Singapore University of Technology and Design. 12/2014 – 6/2015: Research assistant at National University of Singapore. 10/2013 – 12/2014: Intern at National University of Singapore. 10/2012 – 10/2013: Researcher at Hochiminh City University of Technology. 2012: Awarded university Silver Medal for high academic achievements in graduation ceremony (2/300 students). 2007 – 2012: Awarded university scholarship for high academic achievements. Long H. Pham, Giang V. Trinh, Mai H. Dinh, Nam P. Mai, Tho T. Quan and Hung Q. Ngo. Assisting Students in Finding Bugs and Their Locations in Programming Solutions. International Journal of Quality Assurance in Engineering and Technology Education (IJQAETE), Volume 3(2), IGI Global, 2014, pp. 12–27. Long H. Pham, Nam P. Mai, Mai H. Dinh, Tho T. Quan and Hung Q. Ngo. Assisting Students in finding their Own Bugs in Programming Exercises using Verification and Group Testing Techniques. Online Proceedings of the 2nd International Engineering and Technology Education Conference (IETEC 2013), Vietnam, 2013. Pham Hong Long, Nguyen Hua Phung. Classifying sorting algorithms. Journal of Science and Technology, Special issue on International Conference on Advanced Computing and Applications (ACOMP 2011), Volume 49(4A), Vietnam, 2011, 265–270.